Some of you may be old enough to remember an amusing song by The Goodies, called 'Do, Do, Do the Funky Gibbon'. It made the pop charts in the mid 1970s. 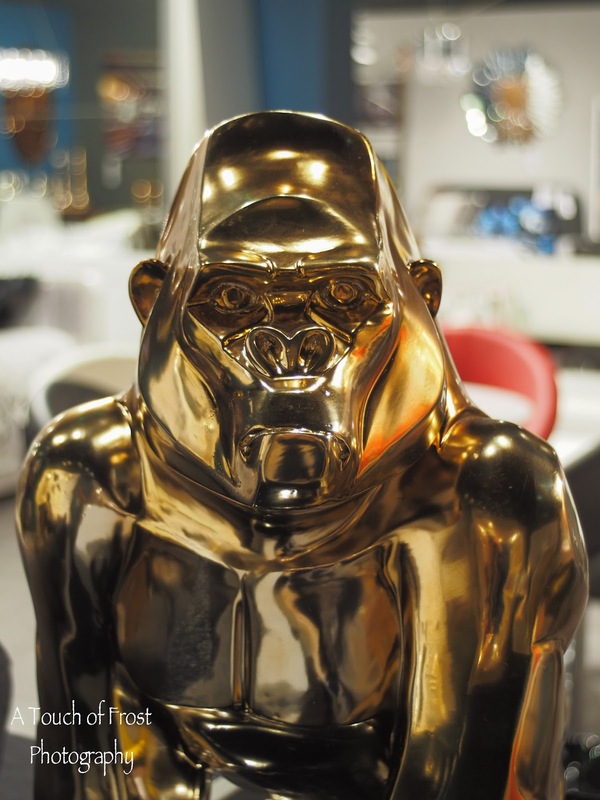 Well Gail & I were in a furniture shop this afternoon, when I spotted this rather large gold ape statue sitting on a table and staring at me. Of course I had my camera with me. If you're into photography, you always do. Just in case you come across something unusual or newsworthy. So I took a photo or two. I wondered if an assistant would tell me off, as the store wasn't particularly busy. But no, I was left alone to snap away.